Despite the high interest in biochar as soil amendment, the number of field studies is still limited, being experiments with perennial crops in arid lands particularly lacking. 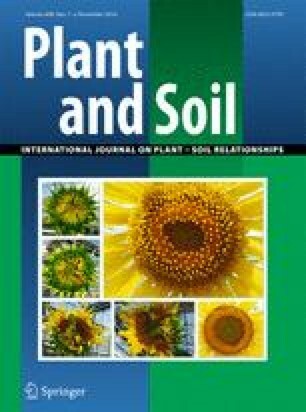 This study evaluated the application of compost and biochar in a drip-irrigated organic olive crop in a calcareous soil in South-East Spain. During two consecutive years, changes in soil total organic C (TOC), dissolved organic C (DOC) and water soluble N (WSN), mineral N (NH4 + and NO3 −), N2O emissions, denitrifying enzyme activity (DEA) and number of amoA gen copies were monitored. Biochar increased TOC compared to the rest of treatments, whereas DOC and WSN significantly increased in plots amended with compost and the compost-biochar mixture. DEA, amoA-encoding genes and N2O emissions were highest with the compost-biochar mixture, but results were not always significant. Our results show that, in these N-limited and deficit irrigated semi-arid agro-ecosystems, compost amendment has an impact on soil microbiological activity with a link to N availability. Biochar applied alone does not alter the N dynamics, but markedly builds-up soil C. In both cases only during the first year these effects were statistically significant. When applied in combination a synergistic effect was observed and the highest values of DEA, amoA gene copies and N2O emissions were detected. Responsible Editor: Erik J. Joner. The online version of this article (doi: 10.1007/s11104-016-2794-4) contains supplementary material, which is available to authorized users. This study was performed under the framework of the EU project FP7 KBBE.2011.1.2–02 FERTIPLUS co-funded by the European Commission, Directorate General for Research & Innovation, within the 7th Framework Programme of RTD, Theme 2-Biotechnologies, Agriculture & Food. ML Cayuela is supported by a “Ramón y Cajal” research contract from the Spanish Ministry of Economy and Competitiveness. The authors are very grateful to Dr Claudio Mondini for revising the manuscript, to Dr. Nunzio Fiorentino and Dr. Jose A. Alburquerque for his help with field work, to Dr. Joris Eekhout for his aid preparing Fig. 1 and to Juan Molina, manager of “SAT Casa Pareja”, for providing the field site.